Did you know that basic concept of photography has been around since about the 5th century B.C.E. but the first camera that could capture permanent images- like we do today- was around 1830s in France. Joseph Nicéphore Niépce exposed a pewter plate coated with bitumen to light, and that is the first permanent recorded image. There is magic in capturing images and creating memories with your loved ones. When I was about five years old (likely I was going into first grade) our family had our portraits done. I recall setting up in our spare room and me chasing down my tabby cat to be sure he was in the picture with me. I still have that print with me. If you are like me, and want to capture those memories on film here are some ideas for your next session. I am sure you will find one below that you’ll love. Family history. Do you have a wall dedicated to your family tree in portraits? Are you swooning at that ‘old’ masters style of your grandparents portraits or just the tone and color? It just takes is a bit of creative posing and editing and you can achieve the same timeless feel. When you are ready to display them display thhem in an ornate frame and voila! First and last day of school. Facebook gets flooded with the first day of school images, usually all ready to head off. What about adding a little something more and get some fun pictures of them getting ready. How about your teen graduating from the last day of high school. Fun! Generational photos. I have a portrait of my grandparents and my great grandparents that hang on our wall. These type of portraits are one of those treasures handed down through generations so why not create one for your own family tree? Have a session with your daughter(s), mother and grandmother to capture the generations of women in your family, or perhaps the men of your family there is no limit to the combinations. 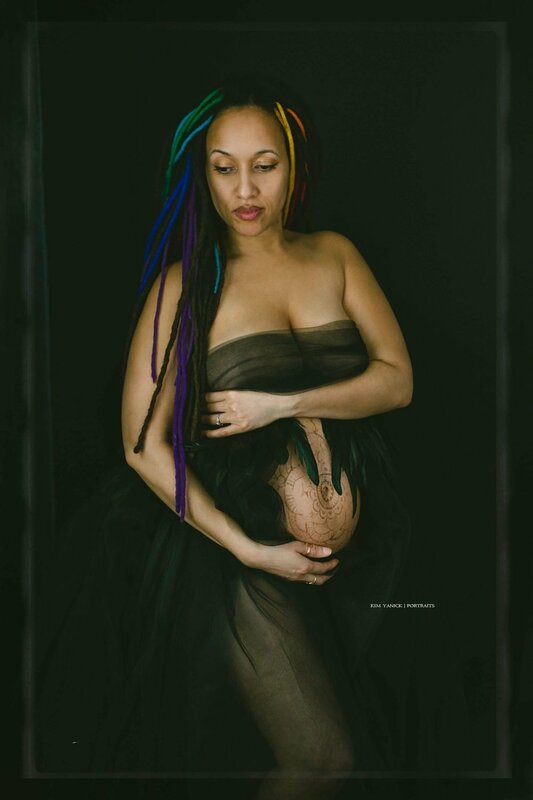 Maternity portraits. You may not really feel like doing maternity session but they are a fun way to capture your pregnancy. Years from now you can look back and share the stories of that time with your child. Pet portraits. Pets are part of our family, so why not capture them in a session as well. You can either do formal studio sessions or more casual outdoor – like a day in the life of your pet or you can shoot in the comfort of your own home. So many FUN ideas to share with your pet. Save the date. These sessions are becoming quite popular with newly engaged couples. Why not it’s a personalized way to invite people to your wedding. Be creative you can do anything from writing the date on the bottom of your shoes to using chalkboards or balloons to display the date.